wonderful how much red luedde was able to contribute to this cross, or was it CRF? Phal lueddemanniana is quite dominate. 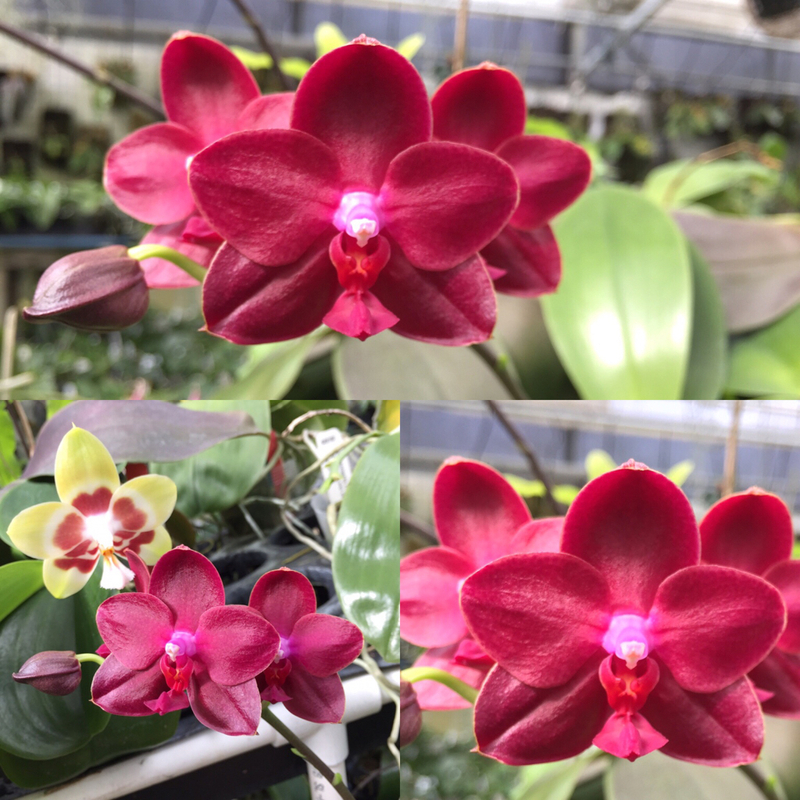 Pod parent Phal Sogo Lawrence is quite dominate too. I just notice a flower today that looks more like Sogo Lawrence's spots. Here is another first bloom this year that I like. Flower is a bit small 5.5 cm but color is fantastic. Found another Phalaenopsis Pylo's Sofia that just opened. This is a larger plant that is growing side way. Nice to see branching on first bloom. These last couple look really good. I was just looking back at the parents. I am surprised everything came out so good with so much luedde influence in the pollen parent. Thank you. My next step is to use some of these nicer ones to pair with 4n standard type. 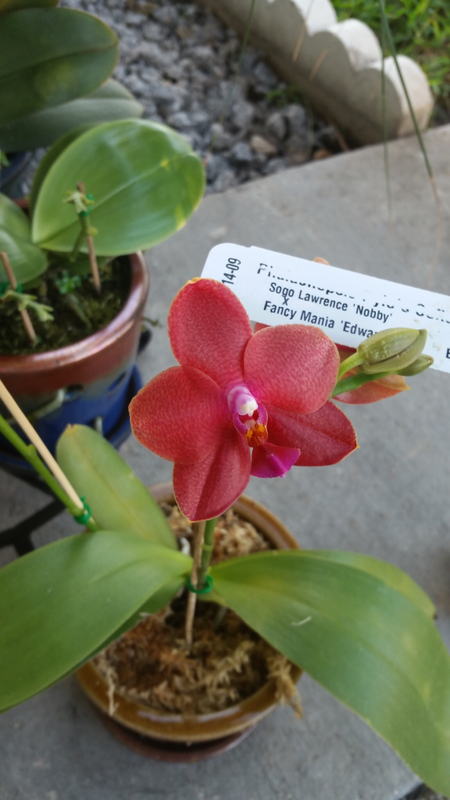 Need to make sure to avoid anything with lueddemanniana (Paifang's Queen) already in the background. Hope to see the last one used as a parent. Another Phalaenopsis Pylo's Sofia that I like to keep around for another year. this is shared by Art C in Florida. Has a nice fragrance ! Lots of character in that last one from Florida. I am intrigued by the glazed pot w/sphagnum in Florida. I have been thinking about having some pots custom-made by a friend who is a potter...obviously these plants are very happy!